Sadness is getting an HDTV in for review and discovering that it boasts better specs and performance than your longstanding reference and does it all for a quarter of the price. That's what happened to me when I checked out Sony's 40-inch BRAVIA LCD HDTV (model KDL40BX420) at $729 compared to my reference 40-inch Samsung HDTV that sold for $2,999.99 when new. • Read more LCD HDTV reviews from the staff at HomeTheaterReview.com. • Explore Blu-ray player options in our Blu-ray Player Review section. • Look for a soundbar in our Soundbar Review section. The BX420 is part of Sony's BRAVIA lineup of products and features a full 1920x1080 pixel display. The BX420 is a traditional CCFL backlit LCD design with a 60Hz refresh rate. The BX420 features an automatic backlight and picture adjustment technology called LightSensor, which adjusts the image on screen based on your room's ambient lighting. The BX420 itself measures 39 inches wide by 24 inches tall and three and three quarter inches deep without its stand and 10 inches deep including its table stand. The BX420 weighs an easy to manage 30 pounds without the included stand and 34 and a half pounds with it. The BX420 build quality is first rate and among the best when compared to its direct competition. In terms of connection options the BX420 has a few, with two HDMI inputs, one component input, two composite video inputs, a PC input (D-Sub) with mini audio in as well as three analog audio inputs and an AC power receptacle. The BX420 also has a single USB 2.0 input on its side as well as an RF input to be used with its internal broadcast tuners. There is an analog audio output as well as a digital audio output on the BX420's rear too. There are a host of internal image and processing features but a few of the highlights include 24p True Cinema Technology, CineMotion Reverse 3:2 Pulldown Technology, MPEG noise reduction, Live Color, Bravia Sync and more. For a complete breakdown of the BX420's specs and features please visit Sony's website. I've been on an affordable HDTV kick recently and of all the no-frills HDTVs I've demoed, the BX420 is far and a way the best in terms of its overall image quality. The BX420's image is rich and appropriately dynamic, possessing solid blacks and brilliant whites with every color of the rainbow in between rendered faithfully and naturally. Motion is smooth and artifacts and noise are all but non-existent when viewing HD material. Edge fidelity is also crisp without seeming artificial and contrast appears to be on par with HDTVs costing more. 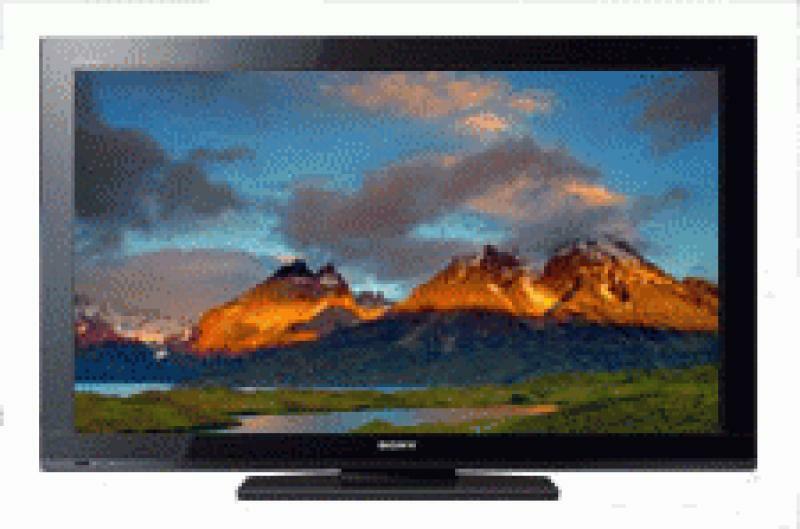 The BX420 is easy to setup, use and live with day-to-day and while its screen size is on the smaller side for its asking price, its image is superior to a lot of other budget HDTVs. Read about the high points and low points of the BRAVIA BX420 HDTV on Page 2.